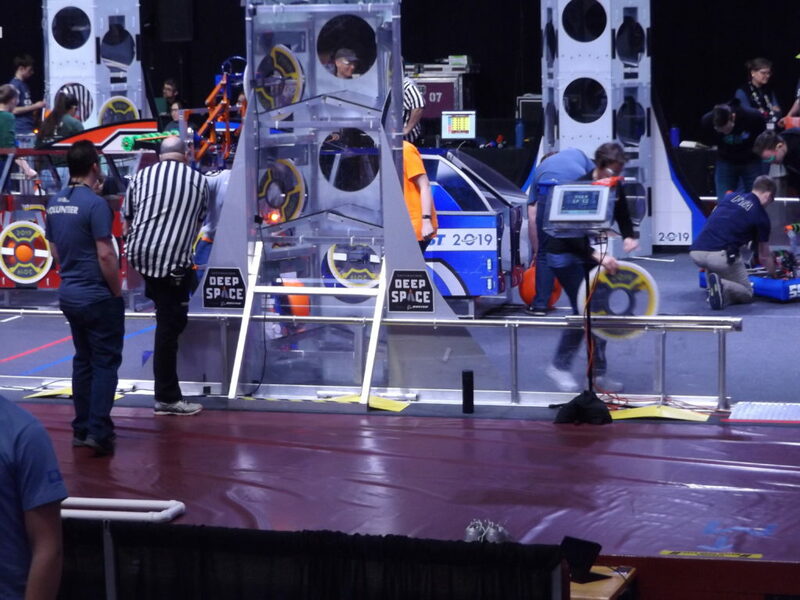 The Gearheads finished our practice day today with plenty of opportunities to gain on the field practice for the drive team. 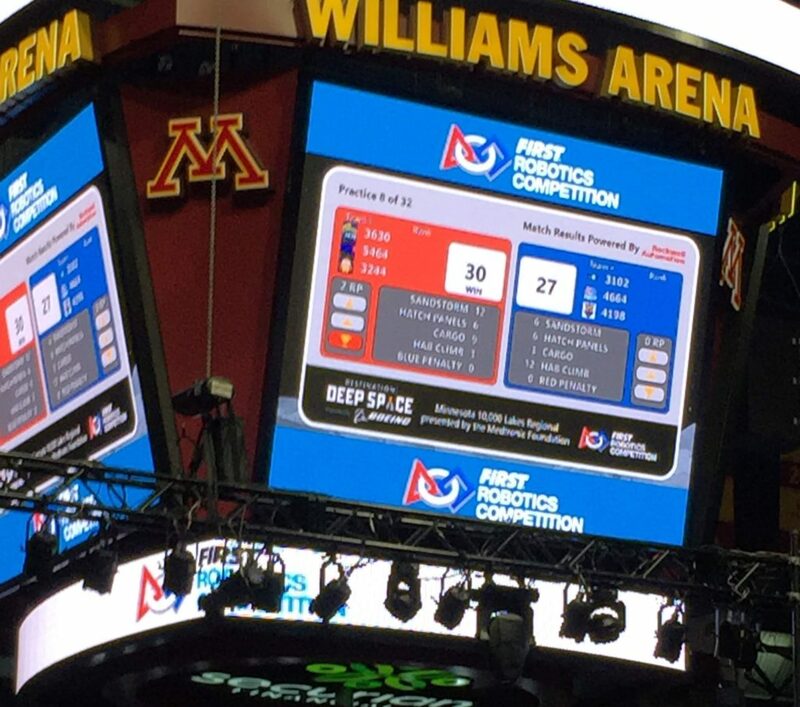 We won our first match, and were able to start on level 2 of the hab, which is worth a couple of extra points. There should be a button to watch the live stream near the top of the page. 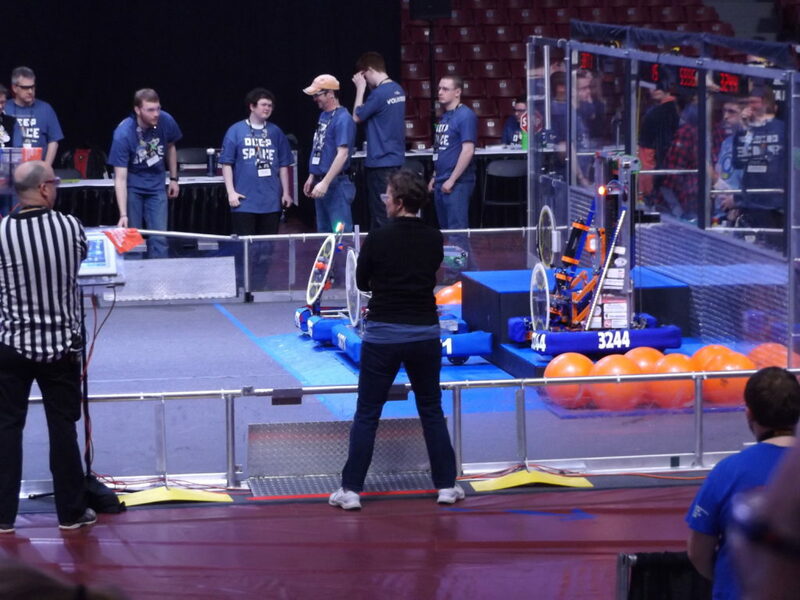 We are in qualification matches 8, 16, 27, 42, 50 and 56 Friday and matches 69, 77 and 86 on Saturday.